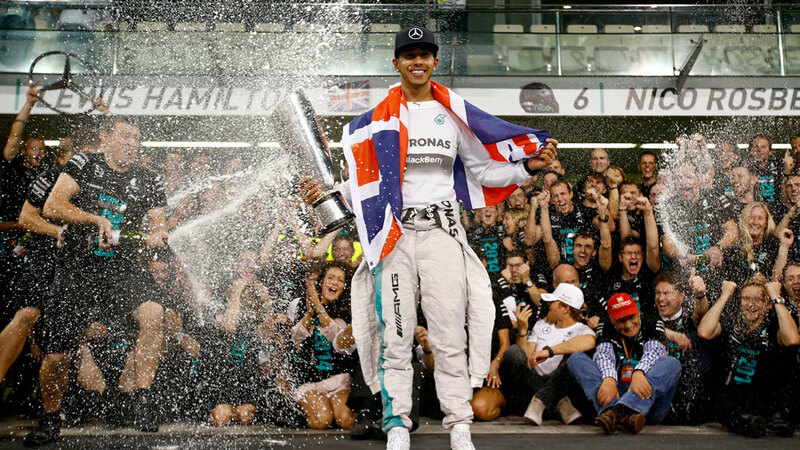 Lewis Hamilton ended a six-year wait for a world championship with his 11th victory of the 2014 season in Abu Dhabi. His rivalry with Mercedes team-mate Nico Rosberg dominated the season and took the title fight to the final race of the season. ESPN charts how Hamilton overcame his old friend and team-mate to win the championship. 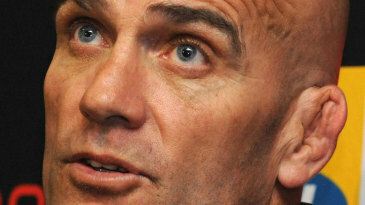 The opening round of the championship highlighted two things. First that Mercedes pace in pre-season testing was as dominant as it looked and secondly that reliability could sway the championship. Hamilton qualified on pole but completed just two laps before an engine misfire forced him to retire. The cause was a small split in the insulating tube protecting the current to the spark plug, a minor detail but one that instantly put Hamilton on the back foot. The failure itself didn't impact the relationship within the team, but it did put Hamilton in full-attack mode in order to make up lost ground. The second round in Malaysia saw Hamilton beat Rosberg fair and square, but in the desert of Bahrain the rivalry heated up. Rosberg took pole but Hamilton got past him at the start, setting up a thrilling battle for the rest of the race. Rosberg's strategy was helped by a safety car, but Hamilton still came out victorious with an answer to each and every move Rosberg made. Immediately after the race the two embraced in a mock fight in parc ferme, with memories of their childhood karting rivalry flooding back, but there was more to the battle than met the eye. 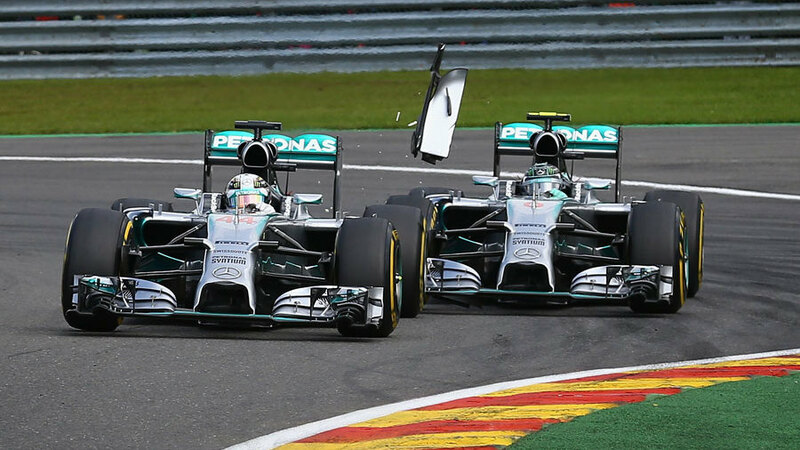 For very short periods of time Rosberg had used a banned engine mode to boost his power and attack Hamilton. The team made clear that such tricks were not permitted as they could lead to excess strain on the power units and limit their life. Hamilton arrived in Spain with three consecutive victories behind him and the opportunity to move ahead of Rosberg in the championship with win number four. Telemetry issues for Rosberg in China meant Hamilton had an easy win, but in Spain the German fought back with a brilliant drive to finish just 0.636s behind Hamilton. On a track with more overtaking opportunities, Rosberg may have been able to pass and after the race said an extra lap would have been enough. What he didn't know was that Hamilton had used the same engine mode trick to defend position that he had used in Bahrain. Heading to Monaco, the gloves came off. Rosberg arrived in his home town of Monaco knowing he had to stop the rot. One way or another he had to limit Hamilton's momentum and get back on top, especially after coming so close in Spain and being denied unfairly. But as the weekend got underway, Hamilton held the edge in all three practice sessions and again in Q2 ahead of the top-ten shootout. Rosberg had one more chance to make the difference in Q3 and on the first of two runs narrowly beat his rival by 0.059s. The main difference was in the first corner where Rosberg had been quicker all weekend, but on his second attempt he got it slightly wrong and was chasing his previous time all the way up to the hill to Casino Square. The one place where he could afford to throw it all on the line was at Mirabeau where there is ample run-off at the exit to forgive mistakes. It was a no-brainer. If he found a tenth he might be back on a quick lap and if he got it wrong he would ruin the laps of those behind, including Hamilton, by causing yellow flags. In the end the braking for the corner looked clumsy, inviting suggestions of foul play and drawing comparisons with Michael Schumacher's "mistake" at La Rascasse in 2006. Although the stewards found Rosberg not guilty, the incident is still seen as an unpunished professional foul by many in the paddock. 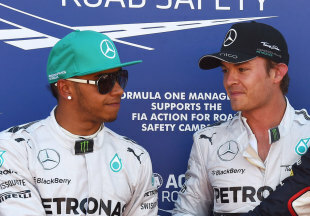 Hamilton made clear that he felt Rosberg had ruined his lap on purpose and, after starting and finishing the race second, announced that he and Rosberg were no longer friends. Four days later he retracted the statement on Twitter, but it's fair to say the relationship was never the same again. After five straight one-two victories between Malaysia and Monaco, reliability issues peppered four of Mercedes' next five races. In Canada an identical Energy Recovery System (ERS) problem hit both cars, with the Motor Generator Unit - Kinetic (MGU-K) failing midway through the race. The problem not only reduced power but also led to excess strain on the rear brakes, which are usually supplemented by the MGU-K harvesting energy under braking. Hamilton was forced to retire while Rosberg put in one of his most impressive performances of the season to nurse his car home to second. By the time the circus arrived at Hamilton's home race at Silverstone, the Brit had a 29-point deficit to Rosberg after finishing second to the German in Austria. However, this time it was Rosberg's turn to have a dose of bad luck and he retired from the lead with a gearbox problem midway through the race, handing victory to his team-mate. 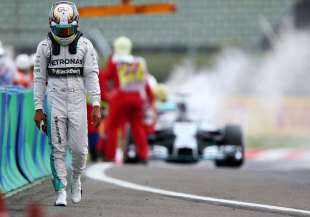 Two weeks later at Rosberg's home race, the tables turned again when Hamilton suffered a brake failure in qualifying. 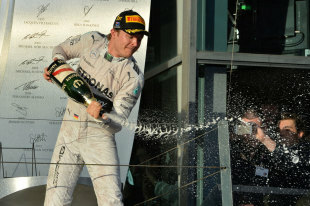 He limited the damage by finishing third, but Rosberg now had the momentum behind him once more. After all that had happened at the previous 10 races, it was perhaps no surprise that Rosberg and Hamilton collided at the Belgium Grand Prix, but what was a surprise was the fallout and post-race accusations that followed. During the team debrief Rosberg said he wanted to prove a point by leaving his car on the inside of Hamilton's, which his team-mate interpreted as causing a collision on purpose. 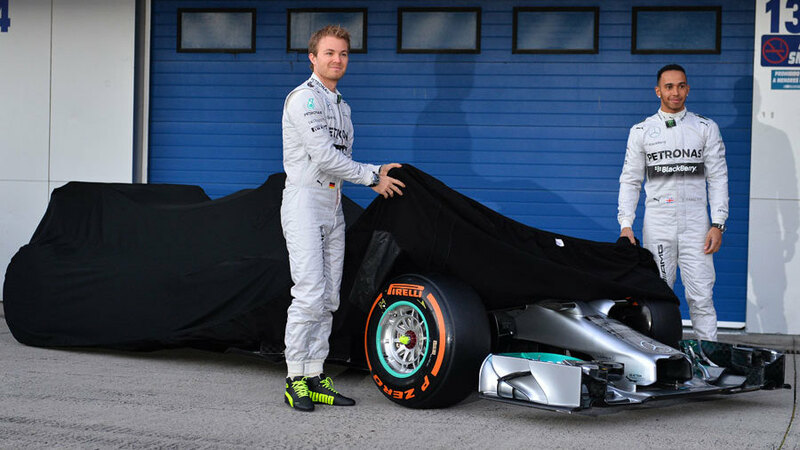 Trust in the Mercedes camp dissipated and crisis talks were held the following weekend at the team's factory. Rosberg was forced to apologise and "suitable disciplinary measures" were taken against him, although the team never revealed the details. Hamilton also admitted to making mistakes over the course of the season, allowing for the relationship to be reset without the need to castigate. In doing so the Mercedes management took the edge off the rivalry between the two, although the threat of much more serious action in the case of a repeat no doubt had a deep impact on both drivers. Over the following five races, Hamilton did his talking on the track and took five consecutive victories. He made a huge leap forward at the Singapore Grand Prix when Rosberg suffered an electronics failure with his steering wheel. The problem was traced back to the contamination of the steering's wiring loom by a substance used during servicing back at base. 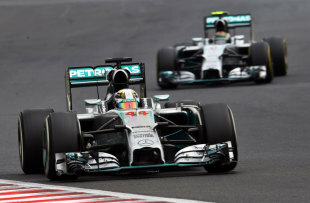 It gave Hamilton a three-point lead in the championship that he then extended over the next three races. At the Japanese and US Grands Prix he came from behind to pass Rosberg on track, underlining the advantage he had over his team-mate in race conditions. Rosberg hit back with victory in Brazil to limit the gap to 17 points ahead of the final round, although Hamilton could have put up a much stronger fight had he not spun at a crucial point in the race. 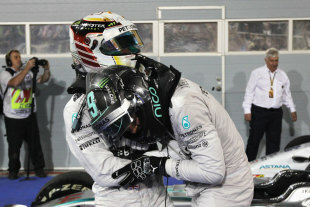 As it turned out, the Abu Dhabi showdown would not be another wheel-to-wheel duel between the pair some predicted. Rosberg took a comfortable pole position on Saturday and hoped for some magic from the Williams behind, but on race day it was Hamilton who started fastest and led into Turn 1 with a thundering start. The Brit looked comfortable in the lead and, with Rosberg's championship hopes fading in the desert, an Energy Recovery System (ERS) failure saw him fall out of the points and out of contention. 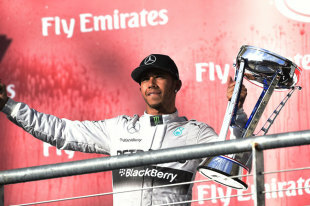 Hamilton came home to take his 11th win of the season and end a six-year wait for his second world championship.